The way we clean, cook and decorate our homes has changed a lot over the decades. Improvements in home technology have made housekeeping a breeze and not the hard work that homeowners of the past had to endure through manual means. However, there are still some things that never change and have been done in homes for over a century now. Technology hasn’t quite managed to do away with some old-fashioned housekeeping methods. 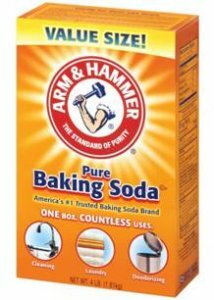 For centuries nothing could beat baking soda for gentle cleaning, odor removal, and baking. This powder is not expensive and you can find it in the baking and cleaning section of your grocery store. Baking cannot be complete without baking soda and the cookies and cakes won’t look so yummy and soft without it. When it comes to removing stains from coffee mugs, making glassware brighter, removing stains from the sink, bathtub and oven, the baking soda rules and has been doing so for more than a century to date. To remove odors, all you need to do is sprinkle some on your carpeting or inside your dishwasher to remove odors. You could also place an open jar of baking soda in your freezer, refrigerator or closet to absorb any unpleasant odors. The origin of the lemon plant isn’t exactly clear but it is well known for its medicinal value and has been known to treat conditions like scurvy. For decades now the lemon has been used in cooking, baking, and cleaning. The lemon peels can be grated and used to add lemon flavor in cakes. You can also use the lemon peel as an odor sapper in your garbage disposal can, and you will feel a better refreshing lemon scent in the place of the garbage smell. 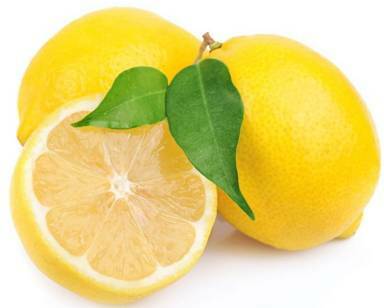 Lemon can also be used to brighten kitchen pots and remove stains. It can also be used to deodorize the inside of a microwave and remove caked-on spills. Greasy pots shouldn’t worry you if you have no detergent; squeezed lemon juice will do the magic. The juice has also been used as wood furniture polish thanks to its antibacterial and insecticide qualities. To keep your kitchen counters sanitized you can also consider running a cloth dipped in lemon juice over them. Vinegar has been used in homes throughout history dating back 3000BCE. It was mainly used to fight bacteria and therefore mainly for food preservation, cleaning, food enhancer and for medicinal purposes. There are many varieties of vinegar, fruit, rice, cane, wine and many others. Most people use it to sanitize kitchens and dining areas, remove odors and any oily or sticky residues in kitchen utensils and surfaces around the home including floors. Since vinegar is acidic and has been known to leave marks on a surface like marble it is, therefore, advisable to use distilled white vinegar for cleaning surfaces. 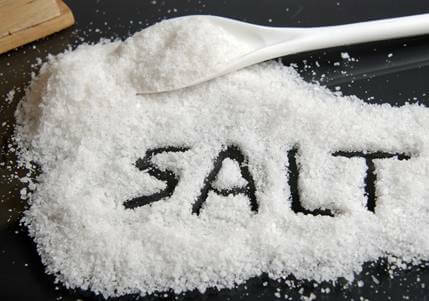 Sodium chloride which is known as salt was in ancient times used as the main method of food preservation. It has been a prized possession for centuries and there was a time that even that soldiers in ancient Rome were paid in salt. There are many expressions surrounding the word salt such as “salt of the earth”, “worth your weight in salt”, “take it with a pinch of salt” and many others, which goes to show just how popular the salt was and still is today as one of those timeless old-fashioned housekeeping ingredients. At home, salt has for centuries been used to battle grime or grease and stains. It is naturally absorbent which is why it has been used to clean stains on fabrics. Today people use it to melt ice, remove perspiration stains in the wash load, remove lime buildup in the sink area. Copper pots can also sparkle thanks to salt and half a lemon. It has also been used to deter ants and it does its job perfectly especially when a home has been infested with ants. Lastly, salt has been used to add taste in food since forever and today, it is a major ingredient in most cooked foods. Recycling and reusing leftovers hasn’t started today. Today we are lucky to have the refrigerator to help us store leftovers. The people of the past used natural food preservation methods to store leftovers. The meat was dried in the sun or sprinkled with salt. Victorian households surprisingly had no food wastage. The household bought only what it needed and most people worked with their hands when it came to cooking, cleaning, sewing and mending. Clothes were repurposed and an adult outfit could be trimmed down to make a child’s outfit. People possessed only what they needed and hardly had extras, except maybe the aristocrats. People saved old linens, towels, and clothing for use as cleaning rags. Today some people use old toothbrushes to clean the difficult-to-reach areas of the home and newspapers to clean windows. There is now no doubt that this recycling and reusing didn’t just begin today. Our ancestors used animal parts for all sorts of household uses. Animal fat was used to light homes until when natural gas and then electricity came. Animal fat was used to seal containers, make soap and protect clothing from water among many other uses. Olive oil and coconut oil was also used then to smoothen the hair, cook and for medicinal purposes. 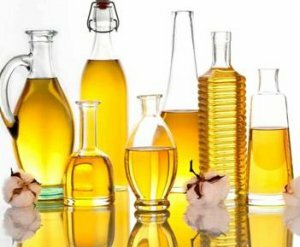 Today we use oils and fats for cooking, baking, lubricating hinges and other places that require it, cleaning sticky surfaces and a lot more. Oils and fats have also been used as ingredients in major store-bought household substances that we use daily at home. In the past sewing was popular and people actually learned to do so at an early age. A little girl could sew her own button when it came off because she learned. Today many people dispose of their clothes when they get damaged and a majority don’t know how to sew. However, there is still a good number of households where sewing takes place. Others would love to do it by hand, while others do it using sewing machines. With portable sewing machines available, sewing has become easier and more people are beginning to do minor repairs on their clothing. Old-fashioned housekeeping practices still continue to this day as seen above. Some of these practices will never die out even when home technologies continue advancing because they are very effective.